But the problem is that they aren’t buying. They fill up their online shopping cart, but then are often abandoning it either at the checkout or before.getting there. This is actually a very common occurrence in online retail. 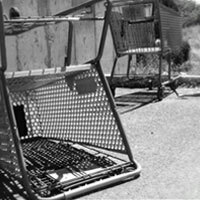 According to research by the Baymard Institute, 67.44% all shopping carts online are abandoned, so the problem is greater than you probably thought. The first step to cart abandonment prevention is to understand why people abandon their shopping carts in the first place.We all know that consumers have to be in the right state of mind to buy something - especially online when payment processing can make buying a more lengthy process as well as the fact that they are not in a shopping environment, with the product in their hand, This extra time that they have to think, without any outside influences means that they are easily taken out of the buying mindset. By looking into each of these problems, we can then work on how to prevent cart abandonment. There is nothing more off-putting when you are buying online to think that you will pay a certain amount, only to find that when the time comes to hand over the money, you have been charged for numerous other things on top. Try to show the final price at your first opportunity, so that people don’t feel misled. One big culprit is shipping costs. Try to keep this as simple and transparent as possible. But also don’t rule out the prospect of offering free shipping - it might seem like a great expense, but research shows that 61% customers are likely to cancel their order if free shipping isn’t included, and the average order value when free shipping is offered is 30% higher.than when not. By being transparent or waiving unexpected costs, you should find that you suffer less cart abandonment and enjoy happier customers. It is true that a lot of checkout abandonment occurs when people come to your site to browse. Many people (especially first-time visitors) will come to your website and create a shopping cart as part of their research before buying. Many business owners will see an abandoned cart as a lost cause, but actually a lot of them will come back. Of course, the ideal situation would be for them to buy straight away, so what can you do to help persuade people to buy from you here and now? Limited Period Offers - One good way to get people to make a purchase straight away is to make limited period offers - by offering a too good to miss price, they will make the order straight away. Tools such as Hello Bar, will help you to target only first time visitors. Re-Targeting - Re-targeting tools will give you information about your browsers, which will then allow you to set re-targeting adverts based on which product pages they spent most of their time on. Wish List Emails - If an item is added to a cart or wish list, you can then advise your browser if or when it goes on sale. This means that they won’t miss a bargain and you won’t miss a sale! Although these techniques won’t necessarily lower your cart abandonment rate, it will help you to maximise the effect of the visit that the ‘browser’ made to your website. It will mean that although you didn’t get necessarily get the sale in the first place, hopefully you will in the long run. The answer to this problem is a simple one - you need to make sure that you are giving your customer the best service and product for the best price. You don’t necessarily need to be the cheapest, but make it worthwhile paying what you are asking. There are also a few tactics which you can use to convert browsers into buyers - think about loyalty scheme, cart recovery emails or price guarantees, for example, which can help to persuade people to make a successful purchase. Avoid lengthy registrations - Try to make the process as quick as possible -only add longer registrations for regular customers, for example. Speed up the process - Try to avoid unnecessary navigation through your site making it easy for customers to find, understand about and buy a product without navigating through untold pages. Address concerns - Your customers will often have concerns or queries. Show that you understand them and put their mind at rest by offering information and offering a chat feature to a member of your team. Estimated Arrival Date/Time - People usually don’t mind waiting as long as they know that they will be, so give them an honest and reliable eta to build confidence. Trust Seals - Prominently display any trust seals that you have so that people will feel safe and secure whilst the are giving your their payment details. Reduce load Times - There’s no better way to undermine trust than with a slow loading page or payment process. Try to make your pages as fast loading as possible, and always keep your customers updated with their progress. There are a number of tools for lower cart abandonment, and techniques which can reduce the risk of abandoned carts at the checkout. By making the buying process quick, easy and safe, and by offering the right product at the right price, you should see your cart abandonment rate rising, along with the profit in your business.